5G—the fifth generation of mobile communications—is being developed to meet a number of challenges facing existing technologies. For one, more and more people are becoming reliant on the use of these technologies. Not only that, but they’re also placing more and more demands on the data they want to receive, whether streaming 4K videos, Skyping a colleague across the world, or interacting with numerous IoT devices. These challenges demand a novel solution, and that solution is to use millimeter-wave frequencies—frequencies in the range of 30 to 300Ghz. Satellite telecommunications suffer from many of the same problems. More and more satellites are being launched, and they want to send more and more data. Fortunately, the same solution can be applied: use higher frequencies to communicate. 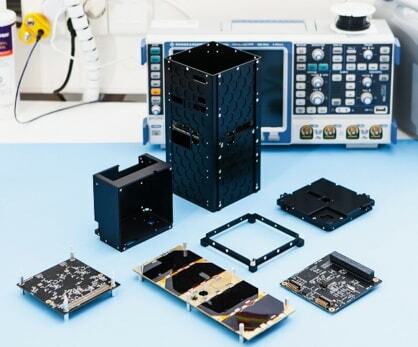 To pave the way for satellites that use mm-wave frequencies, the European Space Agency (ESA) is funding a project to construct and launch a nanosatellite to test the use of the 75GHz frequency band. The satellite, named W-Cube, will be constructed by Finland-based Reaktor Space Lab and VTT Technical Research Centre of Finland. The body of W-Cube will be based on Reaktor’s Hello World CubeSat platform, while VTT will develop the dual-frequency beacon transmitter. The signal W-Cube transmits will be observed at a measurement station in Graz, Austria, operated by contractor Joanneum Research. W-Cube will weigh less than 5kg and is scheduled to launch sometime in 2019. It will be the first time such a high-frequency signal is broadcast from space to Earth. 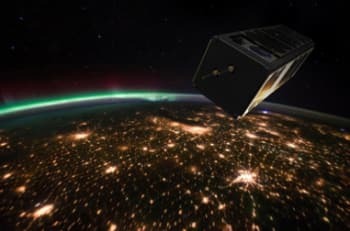 “Being selected by ESA to take part in this innovative project reflects the importance of the nanosatellite technology recently developed in Finland," said Reaktor Space Lab's CEO Tuomas Tikka. “VTT has led the way in the millimeter-wave satellite hardware development and in terrestrial 5G telecommunications radios. The W-Cube nanosatellite provides a unique opportunity to combine our world-class expertise in these two application areas," said VTT VP Tauno Vähä-Heikkilä.